For the past few days I’ve been haunted by two things: fleeting glimpses of Mt Kinabalu’s ominous-looking granite peak and the dawning realisation that I’m the least prepared of anyone in the group. 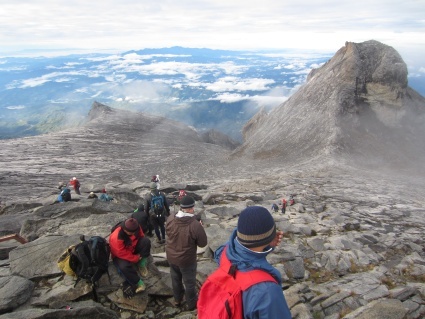 At 4095m, Mt Kinabalu is South-East Asia’s highest mountain, but it’s also one of the most accessible; there’s no technical climbing involved, just a steady, relentless uphill slog. As our group of eight has come to know each other better, it has emerged that everyone else has done some serious training. One couple recently hiked 29km; two guys have been tackling 1000-plus steps; another couple have climbed Mt Kilimanjaro. The furthest I’ve ever hiked is 15km. And that was when I was 17. This entry was posted in Malaysia by Rob McFarland. Bookmark the permalink.